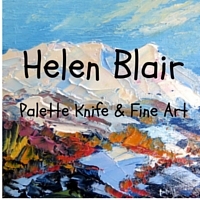 You are very welcome to ask me for a commission piece and custom orders, just email me, www.helensblairsartnz.co.nz, you can attach an image of what you have in mind to start with, commission prices are similar to my regular painting prices. It can take up to a week or two depending on the size, larger works need more time and then a few weeks to dry fully. It is painted on the sides ready to hang, signed by me. In corrugated cardboard and a few layers of bubble wrap, it is couried with tracking and insurance , and should reach you in excellent condition. If it should reach you damaged take photos, keep the packaging and contact me immediately. Sizes and prices below, unframed, free shipping in New Zealand , for international, a shipping cost is extra. The rest paid on completion, or can be paid in 2 or 3 arranged payments. Feel free to contact me if theres any other size you would like. You could email me about a Painting you want, however I can’t guarantee it’s still there, if it’s sold you can commission me to do something similar. Artists always keep the Copyrights to their creations. It is therefore not legal for third parties/buyer of the art to create any kind of (print) material(s) or media from the original Artworks, because the artist keeps these rights whether or not it’s sold.